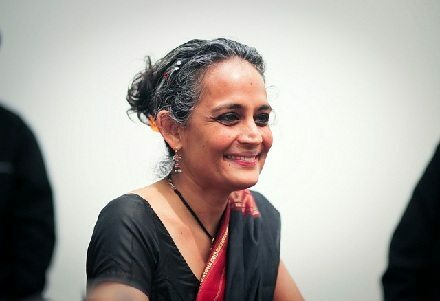 Although many people admire Arundhati Roy for her Booker Prize-winning novel The God of Small Things, those of us who have followed her career know that for the past two decades, she hasn’t been writing novels. Her life is devoted to anti-capitalist and anti-corporate political activism; it’s worth reading her latest book, Walking with the Comrades, for an example of her trenchant analysis, whether you agree with her perspective or not. In a recent long-form posting on ZNet, Roy takes on wealth disparities in India and the role of capitalism in creating and perpetuating them. Roy’s analysis moves from the influence of corporate India to the dynamics of the Indian political system, and from the nation’s corporate-serving military apparatus to the topic of “Corporate Philanthropy” (Roy’s capitalization). The latter should be of much interest to the nonprofit sector, be it in the U.S. or abroad. “(W)hich of us sinners was going to cast the first stone? Not me, who lives off royalties from corporate publishing houses. We all watch Tata Sky, we surf the net with Tata Photon, we ride in Tata taxis, we stay in Tata Hotels, we sip our Tata tea in Tata bone china and stir it with teaspoons made of Tata Steel. We buy Tata books in Tata bookshops. Hum Tata ka namak khate hain. We’re under siege. Corporate Philanthropy in the U.S.